I had soooo hoped to find the time (and the lemons!!!) 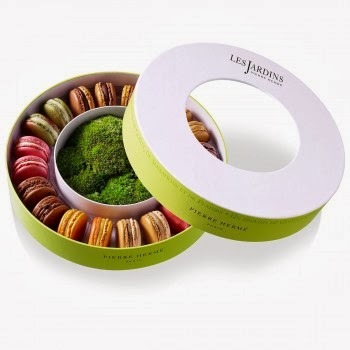 to make these Pierre Hermé Meyer Lemon Tarts for my own wedding dessert table back in August of this year, but events conspired against me (damn you, Whole Foods! 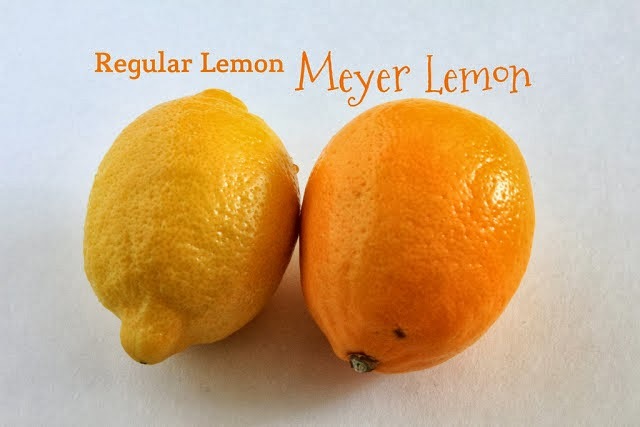 ), and now I am awaiting for Meyer Lemon season to come back around to make them for myself and my loved ones. …ok, I’m going to need a minute to get over that image…. Back to the blog at hand…! 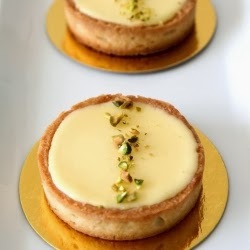 So you may be asking, just what makes a Meyer Lemon Tart so different from a regular lemon tart? Well, I could be a jerk and tell you it’s the Meyer Lemons, duh, but in all seriousness, it *is* exactly that. 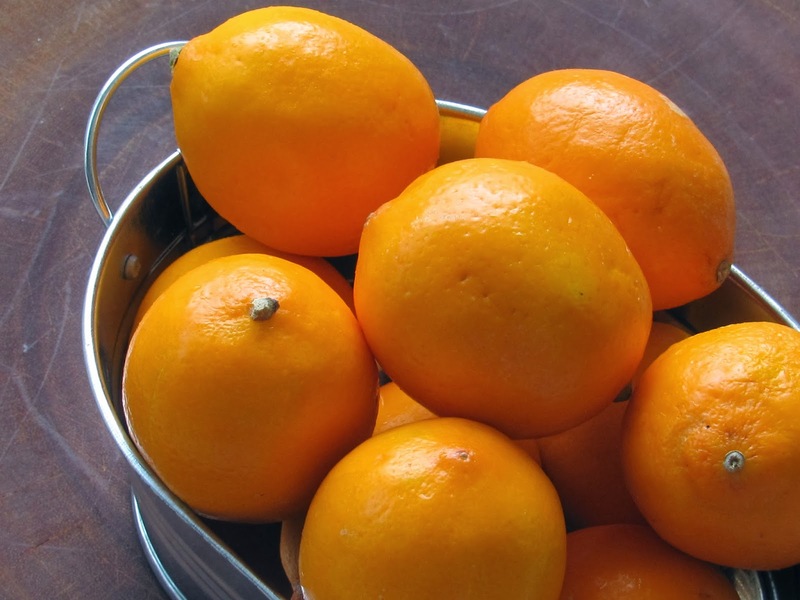 The best way to describe Meyer lemons is that they are a fascinating cross between the sourness of a lemon and the floral notes of an orange, so that they are not exactly one or the other, but very much their own thing. The rind of a Meyer lemon is a deeper yellow, and the scent is to die for. I’ve definitely scrubbed, zested, and juiced my share of Meyer lemons in my day — boxes upon boxes of them — but even so, I’m not tired of them and would use them every day in every way I could if I had a reliable and affordable supply of them. So, until Meyer Lemon season comes around again in my little corner of the world (which is around August for me), I figure, why make you wait for this fabulous recipe in the meantime? I promise that when I have access to more Meyer Lemons, I’ll make up this recipe, and probably a few more as well! Put the butter in a mixer bowl and cream until smooth and creamy using a paddle attachment. Add the sugar, ground almonds, and vanilla bean seeds. Mix until combined. Add the eggs one at a time, fully incorporating the previous one before adding the next one (the dough might look curdled at this point but don’t worry, it’ll come together once you add the flour). Combine the flour and salt. Add to the dough in about three addition. Mix until just it comes together. Do not overwork! 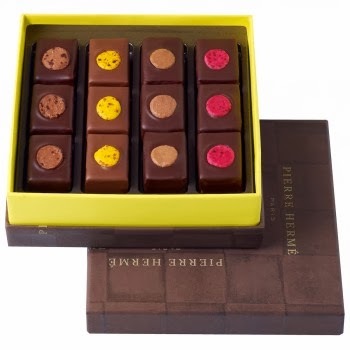 Like Pierre said, “it’s better to have lumps of butter rather than to have an overworked dough”. Divide the dough in the portions you need. Form each one into a ball and flatten it into a disk. Wrap each disk with plastic wrap and store in the fridge overnight (you can also freeze the dough at this point and thaw it in the fridge overnight). Remove one disk from the fridge, and roll it either between two sheets of parchment paper, or just well-floured surface. You need to move quickly though. You don’t want the dough to be soft and overworked. Bake for 20 minutes. Take the parchment paper and the beans/rice off, then continue to bake for another 5-10 minutes until it’s golden brown. Let cool in the ring. On a double boiler, combine the sugar, eggs and juice. Whisk/stir constantly until the mixture reaches 85-86 C.
Add the butter a couple of pieces at a time, to make an emulsion. The mixture will lighten in color. Continue running the blender for a few minutes after all of the butter has been added to ensure the airy and light cream. Make sure stop and run the blender a few times to avoid over-heating.